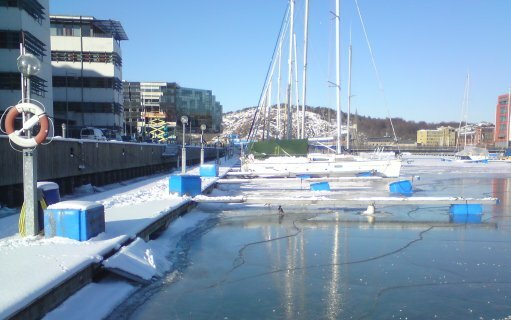 The ice is everywhere. 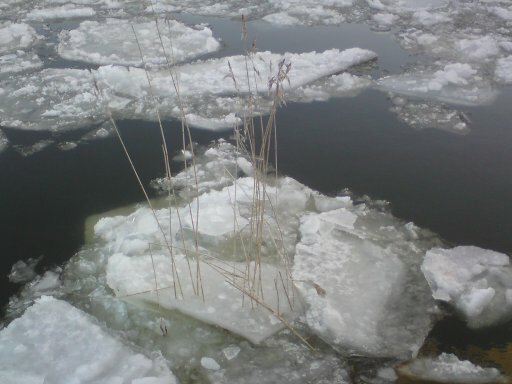 And so is this grass, stuck in the ice. 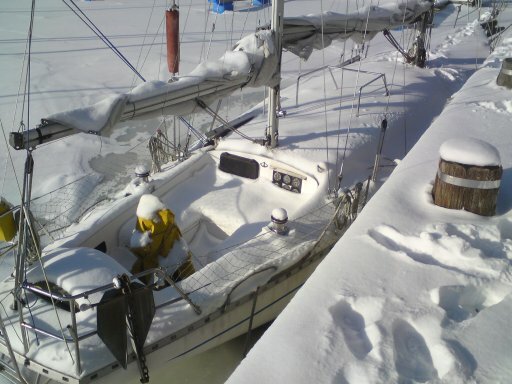 It has drifted several miles away from its inland home and out into the ocean. 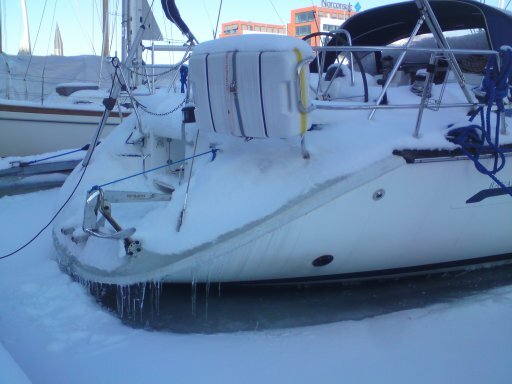 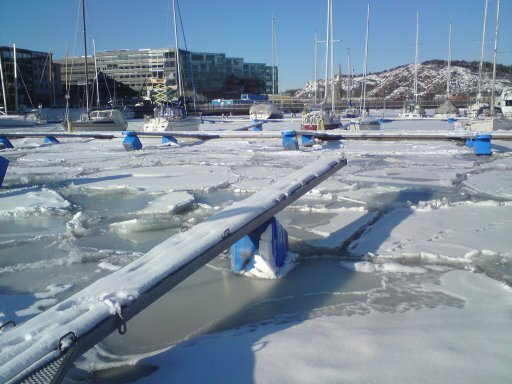 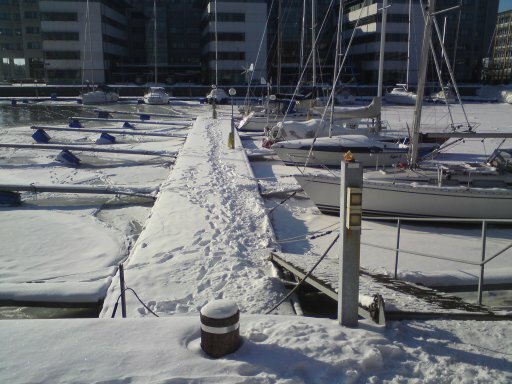 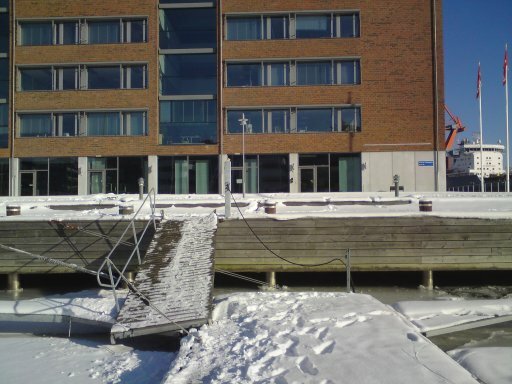 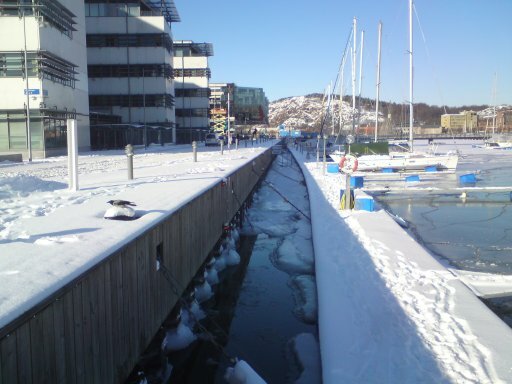 The marina outside my work is quite affected by this unusual winter ice. 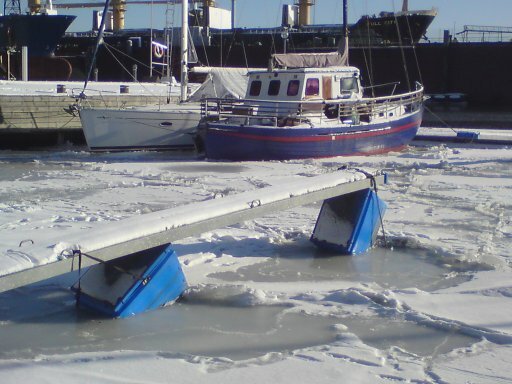 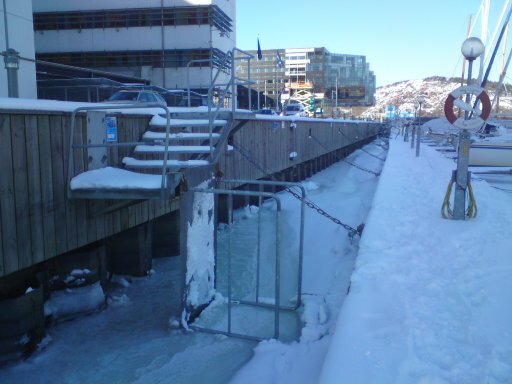 The ice has dragged this dock several feet out of place. 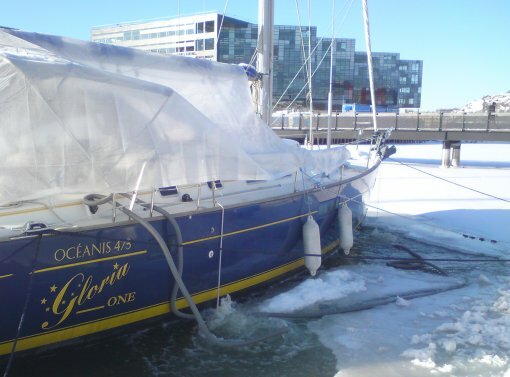 The fingers lose their floatation boxes. 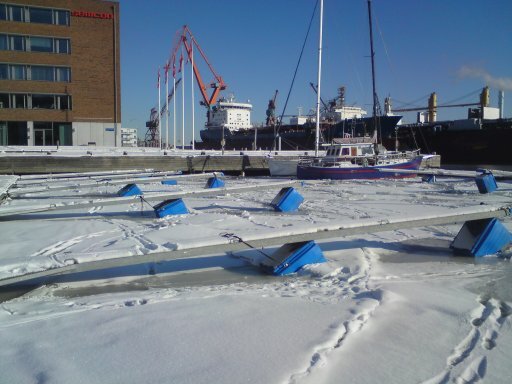 Boats covered in snow...some with the sails left on.